Hey Holly Golightly: What's Her Secret? Recently I happened across a great blog by an equally great gal, How Skinny is essentially the story of Georgina and her successful weight loss journey, but it is compelling reading not because of her success, but because of the honest, never-give-up account of the ups and downs of a girl who makes the tough to decision to change her body and her life. It can be hard to find people who are honest about weight loss. So many a success story leaves out the dark days, the disappointments and the slips. Not here. The recipes are fabulous, the realisations so relatable and the success so inspiring. This is a girl I needed to know better so I asked her a bunch of questions and just as I thought, I loved the answers! 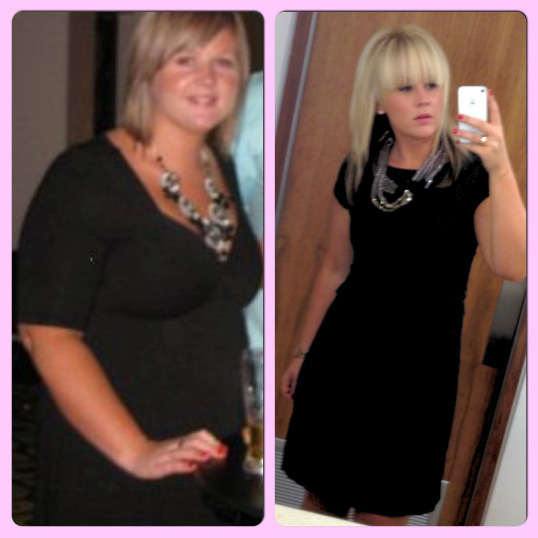 Holly: You have been very successful with your weight loss – congratulations! What do you attribute your success to? Georgina: Thank you, I attribute my success to willpower, dedication and motivation. It is about getting yourself into a routine and sticking to it. Cutting out a lot of bad foods from my diet and also focusing on portion sizes has been helpful. I am a member of the Ashy Bines Bikini Body Challenge (Ashy Bines Bikini Body Challenge) so recently that and the added combination of calorie counting has aided in further weight loss. Holly: There has been so much buzz about clean eating in health and weight loss circles recently and you have mentioned how it has helped you to lose weight. What advice would you give to someone who was interested in going clean? Georgina: I would definitely say ‘Don’t go too hard too soon!’ …. Clean Eating is a lifestyle change and you really will hate it if you stop eating chocolate, bread, pasta, soft drinks etc all at once (you will probably also have some really harsh withdrawals and feel ill depending on how much of the “bad”stuff is currently in your diet). Start by subtly introducing small changes. There are also many clean versions of normal recipes going around so don’t deprive yourself! If you feel like pizza, Google some alternatives and start that way. I have a few on my blog that are simple and easy that would help anyone just starting out. Holly: What did you learn about yourself as you slimmed down? What effect did the weight loss have on your mind and feelings? Georgina: I learnt a lot about myself, my journey has been 3 years in the making so far so its safe to say its been a complete mind trip … as well as a physical change. I have also changed mentally and emotionally – I realised I can push a lot harder, my willpower is a lot stronger and I am very determined and motivated person who is committed to self improvement. Obviously though, the main effect it had on me was that I felt more confident. Holly: If there were no calories in food what would you eat a lot of? Georgina: You may have picked it up in the second question - definitely Pizza! Although since going clean I have come to love a good clean pizza on pita bread with loads of veggies more than I actually enjoy the oily mess that comes delivered in a box! Also, anything that combines chocolate with peanut butter is also a winner in my books! Holly: Do you feel external pressure to be slim? Georgina: Very much so, since losing weight to become healthy I feel more socially accepted – it’s very hard when you feel such pressure to be so slim, especially when you are just starting out like I was and I would look at these skinny people and think “I will never get there." Some people can take it too far and that’s what concerns me, people are missing the fact that it is about being healthy and strong not skinny and sick. Holly: What is your favourite weight loss meal? Georgina: I have so many of them! My blog has quite a few recipes… anything that involves a Quinoa Salad is a winner for me. On weekends it’s definitely clean pizzas and healthy burgers – it’s great to be able to indulge by thinking you’re being naughty but really you are still coming in under the calorie goal for the day! Chickpea Curry is my current fave! Holly: Why do you "fall off the wagon?" What sort of thing is going on in your life and your head when you do? Georgina: I find that I fall off the wagon when I stop training… if it’s raining or I had a late night and I sneak out of training to stay in bed and catch up on extra sleep (I'm strict on the 8 hours!). If I don’t start the day with exercise I usually tend to pick up a little piece of chocolate, and once that has happened it’s the end of me for the day! But, every day is a chance to make a change! If you have a little chocolate, so what! Everything in moderation, just wake up and start again! Holly: Any spectacularly good products you have discovered for losing weight or staying healthy that you would like to share? 3. Lots of Veggies – load up on those greens! Labels: What's Her Diet Secret?